This is a parody of The Prisoner of Zenda and the script is full of terrible puns and one-liners, the characterisations are hardly more than conduits for corny puns and humour. The cas t are the only injection of quality into this episode. 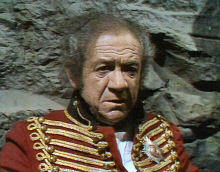 Sid, playing a similar character to that he played on Bless This House, a slightly watered down version of his Carry On persona. Barbara gives a sparkling comic performance as the slightly naïve yet saucy wife of Sid., bubbling over with grinning, sexual energy. The briefly seen Kenneth Connor is superb as a saboteur. 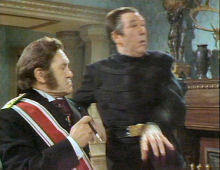 Peter Butterworth and Jack Douglas take on the roles from the classic Ronald Colman interpretation of the film. The script by Dave Freeman is workman-like in trying to recapture the spirit of the films, with the likes of Joan Sims poorly served with her seductive Russian dialogue.